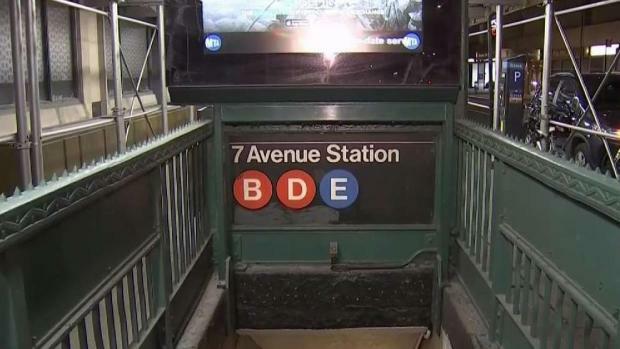 Malaysia Goodson, of Stamford, Connecticut, was found unconscious on the southbound platform of the Seventh Avenue station at around 8 p.m. Her 1-year-old daughter, named Rhylee, was found conscious at the scene. She wasn't hurt, Goodson's family told News 4, and is staying with her father. It’s still not clear whether Goodson accidentally fell down the stairs or if she had some sort of medical episode, according to the NYPD. Her family tells News 4 they're not sure either. It’s not known if she was pushing the stroller or carrying it, but police did say she had the stroller in her hands with the girl tucked inside. Sources familiar with the investigation are looking into the possibility she had a medical episode or condition that caused the fall. There were no visible signs of trauma. A medical examiner will conduct an autopsy to determine what killed Goodson. The Seventh Avenue/53rd Street station does not have an elevator; it only has two escalators that go up. Mayor de Blasio said her death never should have happened. "The subway system is not accessible for everyone and that's an environment the MTA should not allow," he tweeted. The MTA also released a statement on Goodson's death Tuesday, calling it "a heartbreaking tragedy" and saying "the MTA, medical examiner's office and NYPD are conducting a full investigation." The death of a young mother who tumbled down subway steps with a stroller is hitting a nerve with parents who struggle with strollers up and down narrow subway steps -- and it's again raising questions about accessibility in subway stations. Pei-Sze Cheng reports. Family members tell News 4 that Goodson, who worked at a day care in her home town of Stamford, was in the city visiting a cousin, though appeared to have been alone when she went into the subway Monday night. The family used to live in New York City so has lots of relatives and friends there. "At this point, I don't even know, I'm just in shock," said her mother Tamika Goodson. "I don't know which way to go." Goodson's daughter Rhylee is her only child. The young woman's brother described his late sister as protective and caring. "She was a good sister. She was protective. No matter what, she would protect me and my brother and sister," said Shawn Goodson. He said his sister was loved by all, and he's been getting hundreds of condolence messages on social media. Officials say a preliminary MTA investigation Monday night found the stairs, railing and floor in good condition. Most staircases and railings are inspected every three days, but some stations are inspected daily. Elevators, meanwhile, are inspected up to six times every day -- and in 2018, systemwide elevator availability was 96.5 percent, the officials said. Currently, just 118 of the city's 472 subway stations have elevators, but officials say MTA President Andy Byford's Fast Foward Plan calls for a dramatic expansion of accessibility -- one that would require riders to go no more than two stops without access. 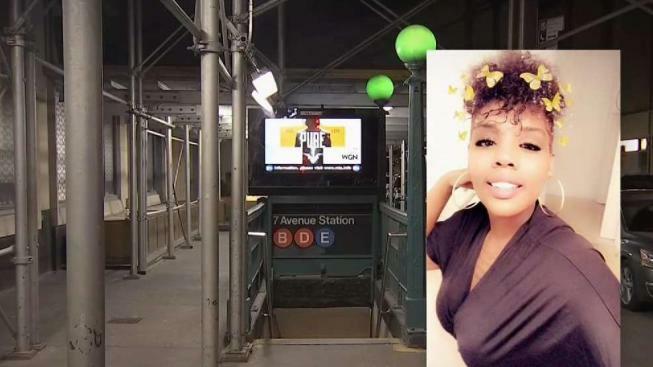 Malaysia Goodson was found unconscious on the platform inside the Seventh Avenue station, police say. Tracie Strahan reports. The ultimate goal, officials said, is maximum possible systemwide accessibility within 15 years. 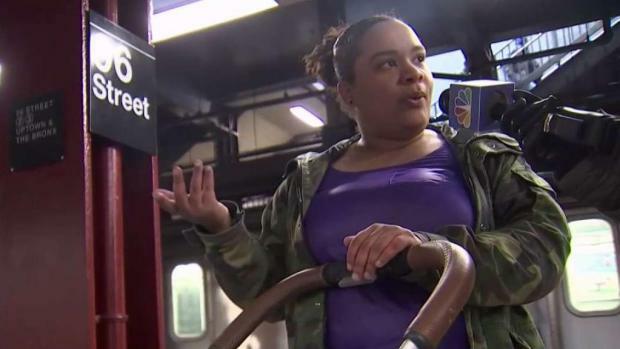 "It's absurd that in 2019 there's not more elevators," said subway rider Jessica Courtney. "It's completely ridiculous."